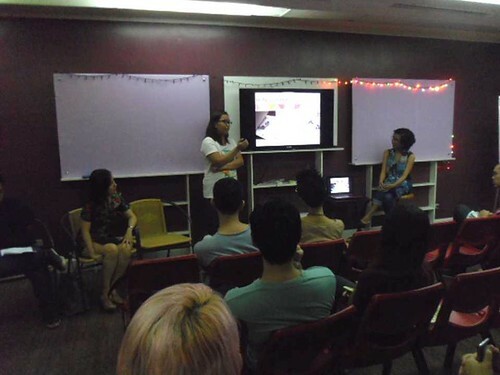 I spent a lovely Saturday evening with writers Erika Carreon and Carlo Flordeliza, the folks of MoarBooks, and lovers of fantasy stories. 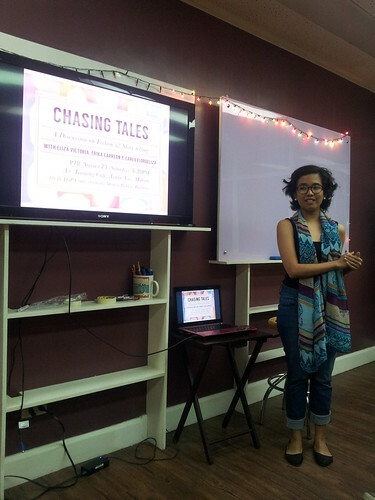 Many many thanks to Wina Puangco, Nico Pascual, and the rest of Team MoarBooks for having me at the first installment of Chasing Tales. I had SO much fun talking about writing, and listening to my fellow speakers talk about their process and writing goals. (And the books they are reading — I should make a list! I am very much interested in What Keeps Me Here by Rebecca Brown.) Thank you to the attendees for their enthusiasm and support! 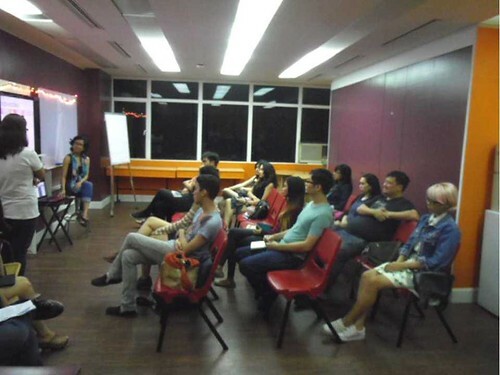 Such a smart bunch — I loved the open forum and the coziness of a small group discussing the things I love. 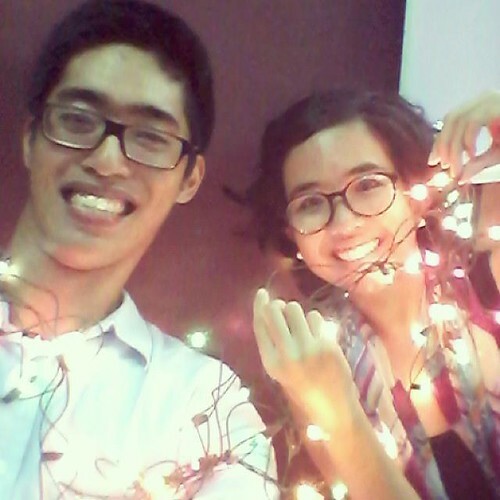 Wina and Nico and the Amazing Technicolor Fairy Lights. 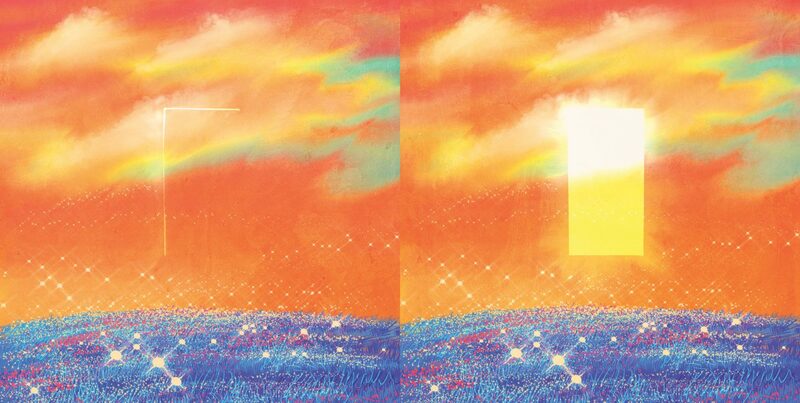 Photo from MoarBooks. Me pretending to be profound. Photo by J. 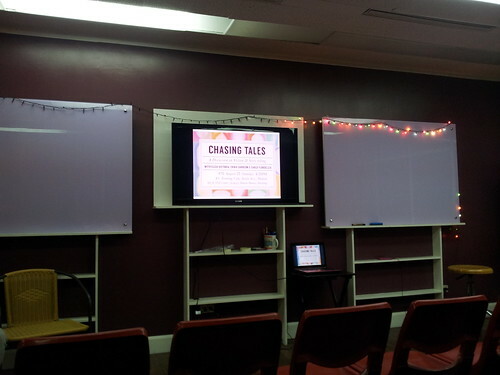 This entry was posted in chasing tales, writing. Bookmark the permalink. 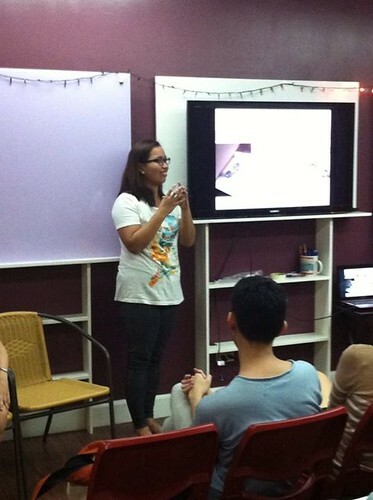 USAPANG MAY-AKDA #1 – more details!